WANT TO QUIT SMOKING? HAVE YOU ALREADY QUIT? Tell your story! Scared Monkeys Discussion Forum > The Monkey Lounge > The Monkey Lounge > Topic: WANT TO QUIT SMOKING? HAVE YOU ALREADY QUIT? Tell your story! Re: WANT TO QUIT SMOKING? HAVE YOU ALREADY QUIT? Tell your story! Mine might just stay in the closet afterall. Hey, Capp, just was asking where you were and Trimm posted this link. Wow, how scary for you! I'm really glad you are going to be okay. I've never smoked, but my 85 year old mom still has a pack and a half a day habit. I could never get her to stop, and her lungs are fine. According to her doctor, I need to quit nagging her about it. I also used to sell Nicoderm, the smoking patch, (before it went over the counter,) and did learn that you can only quit if you truly want to. I'm so happy that you are doing well. Hi Cap, I just wanted to say that I am so sorry you have been so ill, please take care of yourself so you can come back to us, healthy and refreshed. We miss your intelligent and insightful posts and I know when you return to us they will have the same edge and bite they always have had. I would love an update on how you are feeling now, I know how tough it is to kick the habit it was one of the hardest things that I have ever done for myself, I got very depressed. I'm sure with the support of friends and family and your own strength you will recover from this and bounce right back. My prayers are with you. My son has been bugging me for months to try the e-cig. Can you tell us more about it and where to get it in the most cost effective way. So, did the doctors say the e-cig was an effective cessation method? TIA and good for you for quitting and continue to feel better! WEDNESDAY, July 22 (HealthDay News) -- Testing of electronic cigarettes, known as e-cigarettes, has shown that they contain cancer-causing chemicals and other toxins, including a compound used in antifreeze, U.S. health officials said Wednesday. Electronic cigarettes contain traces of toxic substances and carcinogens, according to a preliminary analysis of the products by the Food and Drug Administration. The findings, which were announced on Wednesday, contradict claims by electronic cigarette manufacturers that their products are safe alternatives to tobacco and contain little more than water vapor, nicotine and propylene glycol, which is used to create artificial smoke in theatrical productions. When heated, the liquid produces a vapor that users inhale through the battery-powered device. “We’re concerned about them because of what we know is in them and what we don’t know about how they affect the human body,” said Joshua Sharfstein, the F.D.A.’s principal commissioner. The agency analyzed 19 varieties of cartridges, which hold the liquid, and two cigarettes, one manufactured by NJoy and another by Smoking Everywhere. 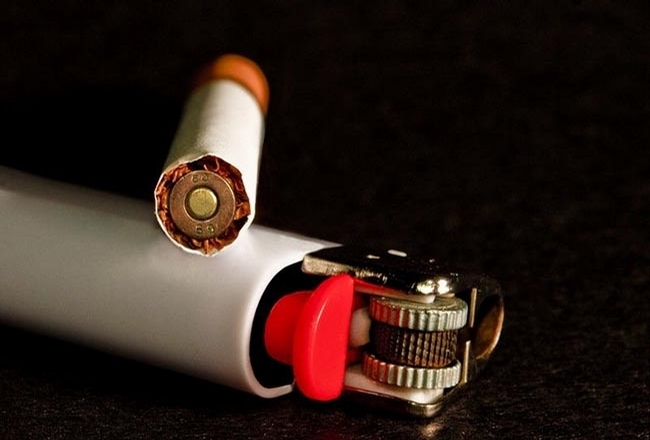 The analysis found that several of the cartridges contained detectable levels of nitrosamines, tobacco-specific compounds known to cause cancer. One Smoking Everywhere cartridge was found to contain diethlyene glycol, a common ingredient in antifreeze that counterfeiters have substituted for glycerin in toothpaste, killing hundreds worldwide. Dr. Sharfstein said the agency was “not sure” what type of effect the diethlyene glycol and other carcinogens have on the human body when inhaled through electronic cigarettes. The Electronic Cigarette Association, an industry trade group, said in a statement that the F.D.A.’s testing was too “narrow to reach any valid and reliable conclusions” and that its members sell and market their products only to adults. A statement from the chief executive officer of NJoy, Jack Ledbetter, said a third party had tested its products and found them to be “appropriate alternatives” for cigarettes, but he did not release the findings. The company said its experts would review its tests and the F.D.A.’s. Electronic cigarettes, which are manufactured in China, are subject to little quality control, Dr. Sharfstein said. The study found the levels of nicotine to vary even in cartridges whose labels claim to have the same amount of nicotine. Some of the cartridges that claimed not to contain nicotine actually did, the analysis found. The F.D.A. has called electronic cigarettes drug delivery devices and said they should not be allowed in the country. It has turned away about 50 shipments of the devices at the border, but they still continue to be sold in malls nationwide and online. The agency would not comment on whether it planned to ban or seize the devices. In April, Smoking Everywhere sued the F.D.A., claiming that it did not have jurisdiction to bar the electronic devices from entering the United States. The agency and public health officials are especially worried that electronic cigarettes, which are offered in flavors including cherry and bubblegum, are enticing to children and may be easy for those under 18 to obtain online or in malls. WOW MUFFY - thanks for this article. I had forgot to come back to see what Capp posted till she was mentioned today in Caylee. I so appreciate the article. Hi Miki Monkey! I keep checking here to see if there are any updates. No I haven't. I can email Capp and see if she responds. TY Klaas. I'm so surprised no one has heard anything. I'll just keep checking here for any updates. Oh my!! Still nothing, thank you for sending an email Klaas hopefully we will hear something soon, please send her Monkey and let her know we are concerned about her. I did email Capp but have not received a reply. Could be the email addy she has attached to her account doesn't work. I don't know. If I hear anything I'll let you know. TY Klaas. You did the best you could. I'm sure you'll let us know if you hear from her. I thank you for sending the email, I'm sure she will reply if she can, I guess we wait and hope, Thank you Klass. I am worried because she was such a huge part of the Caylee Marie thread I felt she would always be there no matter what, such a shame, I enjoyed her opinions. Maybe she will return when she feel better. Thanks, Klaas for trying to get in touch with Capp. I'm really, really concerned about her. Like others have said, she was such a big part of the forums. I'm afraid that something just isn't right. Wish that someone had some way to personally check with her or her family. My prayers are with her. This will definitely be your last cigarette. Mum is on champix, and she has been a full on smoker since age 14, and she is 64. She done patches, gum etc, always went back to smoking. She is week two now, and they allow you to smoke for two weeks, and she tries to smoke, and says the taste is foul, and she cant get the hit smokers get, and now she is whinging that the tablets are taking away her enjoyment, ironic, but a good thing maybe. Hope she succeeds, its her last chance to quit, and probably, its the habit after all these years thats hard to break, the euphoria that smoking gives you, and i am a smoker, kind of, but I never reached the euphoria stage, and can go months without one, I need a kick up the rear, really, I hope this is mums quitting time. She has lost sisters, brother and they were in their 40s when they died from cancer, and they never smoked, just mum smokes, and is as healthy and young looking and is old. I think she wonders why, its weird. O goodness, my apologies due to not seeing Klaas's post that this thread existed and she put my post here but I found it searching for something else around that date, phew glad I did! Klaas, thank you so much & I hope your health is well since you eluded to knowing what I went thru. Now, about the E-cig, I saw the FDA article & its a good bit of hype, misleading to exactly what they tested coming from them - probably because our government cannot tax the ever loving crapola on it. But do your own research, see link below. People are suing over the use of Chantix (drug to suppress smoking) because of complications too, so every avenue is going to have its pros/cons & those that endorse a method & those that do not (sometimes with veiled motivations). Bottom line, E-cigs contain nicotine that you can control what milligram dosage you use & then you can go nicotine drops free. It is a vapor not a smoke & it does not contain tar & other chemicals cigarettes have. I look at it this way smoke a pack or two of cigarettes a day harming me & others with second hand smoke OR "vap" a few puffs here and there over a course of a day...my choice is simple & I am not hacking up a lung! The reason I also like this method is because it also gives me the sensation of holding a cigarette & seeing a smoke like response - I've always been one that needs to be doing something & my hands are always occupied so it deals with the physical response as well as the addiction to nicotine. It is odorless & stainless, can be used anywhere! Keep in mind, my internist, cardiologist, pulmonary specialist & respiratory therapist ALL approved the use of the e-cig & actually encouraged me to use it if it helped me quit smoking, trust me I went over this with each of them explicitly & repetitively. With COPD smoking would have worsened the condition tenfold & taken years off my life rapidly, possibly ending up oxygen dependent before a much shortened life...that is reality. I'm going to provide a link to a forum my hubbie belongs to because there is a host of information for everyone to find there regarding e-cigs & even information about the FDA's position, etc. I use a 510 button pen style which is easy to draw on & very simple to operate/maintain. I will leave it up to each of you as individuals to decide what is best for you but I strongly recommend it. I wish all of you desiring to quit the best of luck & provide you with much encouragement & support. Again, thank you so much for the prayers & friendship, so many have truly touched my heart & it makes me grateful to be a monkey! MONAVIE- Drink it. Feel it. Share it. Hey guys, I need some help! Tomorrow will be 5 weeks that I have not had a cigarete. I had a heart attack on Aug. 20th. I have done it cold turkey with no help other than sheer will power. My question is when does the never ending cravings stop? I did really good the first couple of weeks, but this last week has been hell. I feel like I could eat a pack.. plus I have just been an emotional wreck for about 2 weeks. I cry at the drop of a hat. My doctor told me that just 1 ciggy a day could collapse my stents. I beg God to take the cravings away.Please say a prayer for me. Congratulations Darla!!! You are almost over that hill! I am smoking again. But when I did quit there were alot of times when I could of ate a ciggarette too. My neighbor, when she quit had the same problem. She would come over for the longest time and tell me to blow smoke in her face so she could resolve that momentary urge she was having. She has been smoke free for 3 years. She said the urges are not nearly as intense. She also said she has not felt this good since she was 18. 1- I drank alot of orange juice or other citris juice. The vitamin C helps to rid your body quicker of the toxins that have built up over the years. One of the stop smoking programs I went to had us drink alot of juice. They also had us drink Maple Syrup(2 tablespoons) and Lemon juice (about 2 tablespoons) in about 8 oz of water several times a day. I also sucked on spearmint lifesavers. For some reason, the taste of the lifesaver had that "bite" that would curb my cravings. 2-I did try the Chantix and it does work. But I had really off the wall vivid dreams other than that I didnt have any problems with it. Another friend that took the Chantix who also occasionally drank wine and loved chocolate, loss her desire for the wine and chocolate all together. Strange to say the least but that was her experience. I do not know if you are able to try Chantix because of your heart but I would definately ask your Doctor to see if you could try it. I think the Chantix would help you keep from picking up the ciggs again and get you through for a few more months. Then by that time you will probably be able to handle the urges better since it has only been 5 weeks. I think the Chantix could get you further down that road where you can handle it better. I am hoping to try to quit again real soon. I have my chantix waiting for me, I am still trying to work of the courage. You should give yourself alot of credit for coming this far! It will get better as time goes by but I dont think you ever get over those occasional urges. Right now the urges are much more intense because your body is still ridding itself of those toxins. Treat yourself to a gift or maybe write down how you are feeling. Do know though, you will get through this, you can do this and just look how far you have come already!!! I will pray for you and I am certain you have the strength to get through this!!! Good Luck Darla, you are half way there!! I will say a prayer today and for as long as it takes for your cravings to be gone, darla. It's so hard. I know, darla, I just recently quit too. I smoked A LOT! There are still times, usually emotional times, when I fear, if someone were right there offering me one, I'd take it. Darla, even if one wouldn't be harmful to your health, there is no such thing as one. I quit before for years, and thought I could smoke just one............ almost on a dare. In a week, I was up to a pack a day, and it went downhill from there. 1. Every time you successfully get through a tough temptation............ TALK TO YOURSELF and say GREAT things! Seriously, allow yourself to feel good about it, and tell yourself that you've made it and it's over because you care more about yourself and that's a good, God inspired thing! 2. Drink lots of water and take deep breaths. When you exhale, imagine the stress and temptations leaving your body. When you inhale, imagine peace entering you. 3. Make a little time several times a day to relax. Close your eyes and take a mini vacation in the most relaxing place you can imagine. For me, it's on a float in water, but you might picture a front porch swing on a beautiful mountain top home. 4. Take a nap. Just get away from it with sleep. Being well rested will strengthen your resolve, anyway! 5. Walk. It takes you outside and helps keep things in perspective. Follow your Physician's orders on the amount of excercise, but if you can, it really helps to walk. Darla? There is one thing that I hope your Physician talked to you about. It's very, very common for post heart attack patients to encounter depression, after it's over. Depression happens in various degrees, but the emotions you are feeling may not all be attributed to quitting smoking. Talk to your Doctor about it, and please don't neglect it. He can help, and it's a physiological, not a mental thing. Talking about how you are feeling will help, too. YOU ARE DOING GREAT, DARLA!!! I'm so proud of you!! I'm also proud that you asked for help. That's the right thing to do and you're one smart monkey to do it! I'll check here often so let me know how you're doing, OK? You're in my prayers! Page created in 2.119 seconds with 20 queries.